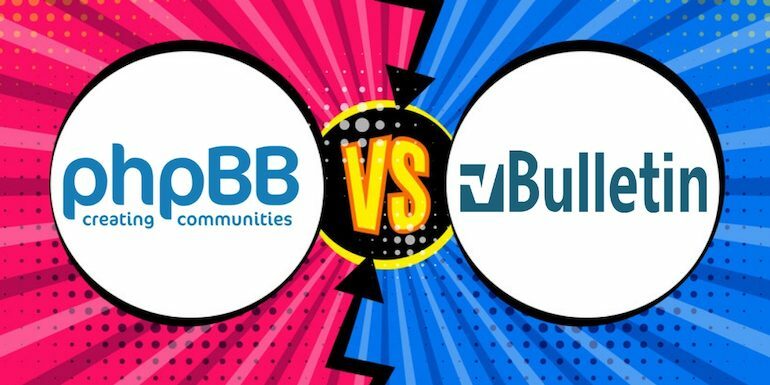 You are here: Home / CMS / phpBB Vs vBulletin – Why vBulletin and not phpBB? phpBB or vBulletin – I get queries from webmasters asking “why vBulletin” when we have phpBB. It is free and has almost the same features as vBulletin. This article of comparison of phpBB and vBulletin was written in 2009 when I recommended vBulletin. But it is not the case anymore. The progress of vBulletin since vBulletin 4 and 5 is so disappointing; I gave up on vBulletin. I have shared why I have given up on vBulletin as well as what next here. Still, just for the sake of archives, the old article remains for those who want to go through it. I get lots of queries from many phpBB webmasters asking “why vBulletin” when we have phpBB. It is free and has almost the same features as vBulletin. I will try to answer it. Remember vBulletin has countless more features than phpBB. When I tried phpBB back in 2004 on my localhost, I had an issue of logging into the admin panel. Logging in twice was not well understood by me. I am not sure if this is still there or not, but that was the first bad impression. phpBB Hacks are very much dependent on the theme you use. Normally the free plugins we get are mainly for the default theme which is very unlikely anyone using it. So for each plugin webmaster decides to use, it will need to make it work for the theme. Even for a technical person, it is a tough ask. vBulletin always try to get the new plugins integrated into the product as features. When I started with vBulletin 3.0 it was pretty much elementary. Now I see many plugins as an integrated part of the product. vBulletin integrated Adsense. It means if you want to have Adsense Ads in the forum all you need to do is Add Adsense publisher id into your vBulletin member area and download the latest version of vBulletin. I mentioned this feature, especially because when I work for clients in Elance, they are non-technical people and love this feature a lot. Making plugins integrated with the original products makes it more secure because at times plugins could be prone to security holes as well as performance degradation. phpBB website was once down for some plugin had a security flaw. When any security flaw is detected in any vBulletin release they patch it very fast and normally in less than 24 hours. Comprehensive documentation so that it helps me develop my own plugins very easily but when it comes to phpBB I do not see as good documentation as vBulletin. Apart from the vBulletin SEO, we have a very good SEO product called vbSEO but the one for phpBB did not impress me. vBulletin 4 is underway now which would take lots of features from vbSEO features of vBulletin. vBulletin Administration is much easier to manage than Invision or phpBB. Check out the Admin Demo yourself as well. If you already have a phpBB community there is an option for Impex to move your phpBB forum into vBulletin and it works like some clicks and all done. vBulletin has lots more features than phpBB like Notices, Template Hooks, Similar threads and many more which I like a lot. vBulletin has much cleaner code and so creating new plugins become easier. I am using vBulletin Blog on my MBA Forum which is quite ok as well. Currently, I have 6 vBulletin licenses (many coming up) which do speak for itself because being a tech guy if I could have managed with phpBB I would have done that. This article is written in 2009 when I really recommended vBulletin over other forum scripts but that is not the case anymore. The progress of vBulletin since then is so disappointing that finally I had to give up vBulletin. I have shared why I have given up on vBulletin as well as what next here? Comments are closed on this article as well. Good explanation..Thanks for the post..I recommend using vBulletin..
Sam, you are trying to recommend this to people based on what they are doing but then I think it should be based on what they want. phpBB is used by one of the largest forum online which is http://www.gaiaonline.com/forum/ but then it does not mean that everybody can use phpBB as efficiently as they are using. The better software is one that works well out of the box and vB 3.x was perfect for it but not vB 4.x. Affiliate link of vbulletin, Impress me a lot than you article. I am not very familiar with community building and I would like to know more about the back side. How can we manage members? Is it possible to have CRM type of management of the members? Also, what online – saas type – of community management system would you recommand? Managing members is simple when it comes to CMSes. I do recommend vBulletin. TKU for your answer. Can you point me to a page where I can read – or see – what membre management tools is available? I have read your article, I have visited vBulletin site but nowhere did I read specific about what is available. Charlie, I myself is a technical person but if I develop on PHPBB it would take more time than what vBulletin provides me. Its all between ROI and if you are developing for yourself also costs. What forum you are trying to install?